de Monval coat of arms. In the immediate environment of the castle, this sublime former aviary of the 19th century is part of prestigious outbuildings. It has been restored and converted into an independent dwelling in a spirit "loft" and provided exclusively for two people who will enjoy the best comfort and the greatest calm in an exceptional setting. This very unusual building is articulated on three levels connected to each other by a spiral staircase. The three rooms that compose it are very bright thanks to the large windows which cover the facade facing south. It enjoys a privileged location in the heart of the property. Conceived all in symmetry with its privative inner court, it evokes a little mansion which would have been formerly edified within the same field. The access can be done by its court where a fountain was specially conceived to collect there, sitting in duet, the benefits of an incomparable spring water by immersion. You enter the ground floor directly in the bedroom of 20m ² which is equipped with a bedding comfort (180x200). A series of niches formerly for rare birds make it a room of character. On the 1st floor, one discovers a sumptuous bathroom of 20m ² with independent toilet. Finally, on the last floor, a warm living room / kitchen of 20m ² gives access to a grassed terrace offering a very pleasant panorama on the valley. A beautiful base for taking off to discover all the charms of Haute Provence. You are on the edge of a typical village, 300m from the center where you will find all shops, including pharmacy and doctors. An exceptional stay not to be missed! Important note: This accommodation is not recommended for elderly and young children because of the spiral staircase. The minimum number of nights required is 5 nights. Rates quoted are per night for 2 people. They are without intermediaries, charges, cleaning fees included. Extra charge: Sheets and pillowcases 20 â‚¬, set of bath towels 20 â‚¬, tourist tax 0,70 â‚¬ per person per night. 0,16 â‚¬ / kw if the electrical charge exceeds (cold period). A deposit of 30% of the total amount of your stay will be required. (check or bank transfer). The payment of the supplement (70%) will be done on your arrival with presentation of a valid ID. A deposit of 200 â‚¬ will be required (bank check or cash). Unless incident, which has never happened so far, this sum will be returned to you in full. Pillows, blankets, duvets, bath mats, dishes and cooking utensils are provided. A code that will be communicated to you will give you free access to the parking space under permanent video surveillance. Finally you have a free WIFI access but only outside, facing the castle. However, you will not find the television that would be in disharmony with the places. You can also enjoy the gardens at your leisure. In order for you to make the most of your stay in terms of visits to the region, it is recommended that you open the page "excursions / links" where you will find many incomparable sites to discover. Moreover, we are at your disposal and we will be happy to guide you. 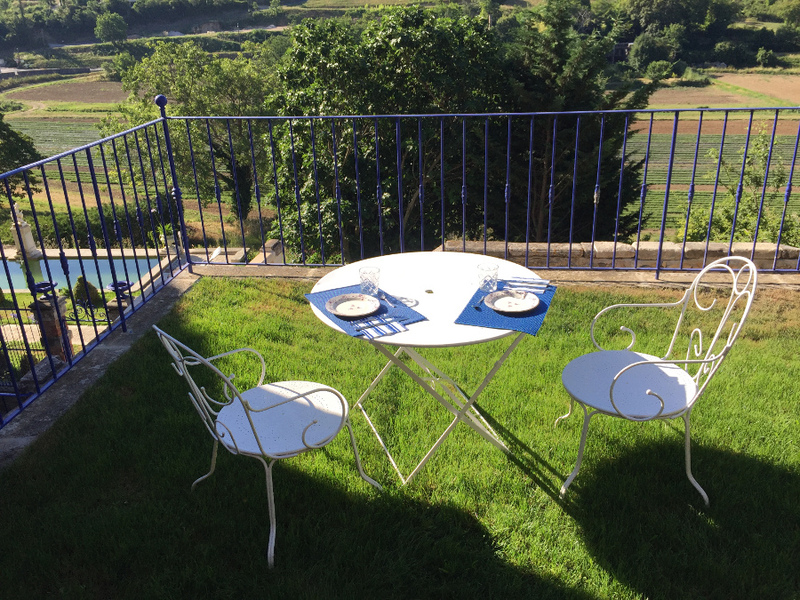 Bed and Breakfast in a chateau in Provence Valensole (04). Petit Chateau Napoleon III in the heart of Verdon in Provence.